William A. Brooks, 88, of East Jordan, died Monday, December 3, 2018 at Eastport Village Care Home. He was born on March 20, 1930 to Alfred and Marion (Gardner) Brooks in Charlevoix. On July 23, 1955 he married Jacqueline M. Simpson in East Jordan. They lived in Banks Township, moving to East Jordan in 1960. Jackie preceded him in death in 2017. Bill served as a flight mechanic in the U.S. Air Force during the Korean Conflict. He was employed as foreman for W. A. Porter Construction for many years. He enjoyed hunting, woodworking and leather tooling. 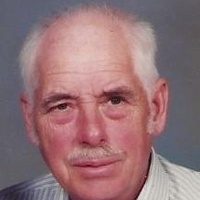 He was affiliated with East Jordan United Methodist Church and enjoyed helping with roast beef dinners and other events. The funeral service will be at 1 p.m. on Saturday, December 8, 2018, at Hastings Funeral Home in Ellsworth with the Rev. Celia M. Hastings officiating. Friends may call from 11 a.m. until the 1 p.m. service. Burial will be in Antrim City Cemetery in Banks Township. The family is served by Hastings Funeral Home in Ellsworth, online at www.hastingsfuneral.com.